In life just as there are challenges there are opportunities to undo injustices so that truth wins the day. The present situation revolves around a song, the singer and the composer. The song is the player referral rule we know as the Umpire Decision Review System (UDRS), the singer is the International Cricket Council (ICC), the international governing body for cricket and the identity of the composer is the contentious issue at hand. There is one man who holds the key to another Sri Lankan staking the claim to the authorship of the UDRS and he is Mr. Upali Dharmadasa, the former President of the Sri Lanka Cricket Board. It was during his Presidency of the Board of Control for Cricket in 1997 that the initial player referral proposal (the lynch pin of the UDRS) was submitted to him way back in May 1997 by one Senaka Weeraratna through a mutual friend of both Dharmadasa and Weeraratna. 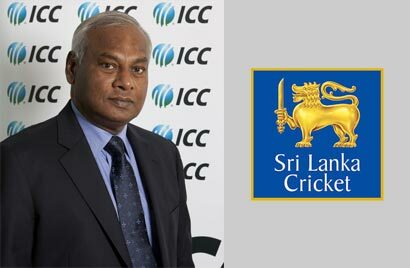 Sri Lanka’s cricket officials not tabling the proposal by Weeraratna at the ICC meeting held in July 1997 as requested by Weeraratna has led to the present controversy that denies UDRS authorship to Senaka Weeraratna and that default and corresponding injustice can now be resolved by Mr. Upali Dharmadasa so that Senaka Weeraratna can finally be acknowledged for authoring the key elements of the UDRS bringing honour and glory to Sri Lanka. The situation is simple enough to understand. There cannot be a system such as the UDRS without a person coming up with the idea. No concept or innovation should be used without acknowledging the creator of that idea. The Duckworth-Lewis system came about after rain affected games were frustrating both teams and players. That glory went to two English statisticians who came up with the formula to calculate which team was in the lead at the point of time of interruption of the game by rain, in international one day cricket matches. The UDRS has been in use since November 2009 without due acknowledgement being given to the composer. The world needs to not only identify and acknowledge the composer but the UDRS needs to be christened under his name for the player – referral system is now being used not only in International Cricket (Test Matches and One Day Matches) but in Tennis, Football and several other sports. The idea of player – referral in any sport (cricket followed later in other sports) was first articulated in ‘heartfelt’ language (Robert Steen) by Senaka Weeraratna based on the analogy of the appeal mechanism in the Judicial System, in his letter to the Editor of the ‘Australian’ of March 25, 1997 under the title “Third Umpire Should Perform Role of Appeal Judge”. Senaka Weeraratna was the first in the world to conceive the concept of a player instigated third umpire referral system using video play back technology to review the decision of an on field umpire and the relevant incident in the match in slow motion replay. He placed the idea of a new umpire referral system giving preference to the player rather than the on – field umpire and thereby breaking for the first time in cricket history the age old taboo that the ‘Umpire’s decision is final’. It has brought about a rich dividend in increasing the percentage of accurate decision making by Umpires from 91% to 97%. Conceptually speaking this is tantamount to a revolution in cricket adjudication and by any definition it is no mean achievement. Senaka Weeraratna followed this up by sending an official proposal of his idea to the President of the Board of Cricket Control (Upali Dharmadasa) in May 1997 requesting that the Board officially table the proposal at the very next meeting of the ICC that was scheduled to be held in July 1997. The proposal was sent to the Board of Cricket Control for Sri Lanka (an affiliate of the ICC) because the ICC does not accept individual proposals. Subsequently, the article published in the “Australian” was also republished more or less in the same form and appeared in the ‘Times of London’ (2 May 1997), Melbourne “Sunday Age” (6 April 1997), Pakistan “Dawn” (9 May 1997), Malaysian “New Strait Times”, “The International Cricketer’ Magazine (UK)” (May 1997), “Sunday Times” Sri Lanka (6 April 1997) and several other local newspapers in Sri Lanka. The fact that all these local and international newspapers carried the version of Senaka Weeraratna’s original article in 1997 itself shows the novelty of the concept with no one challenging that the idea was borrowed, plagiarized or stolen. Mr. Upali Dharmadasa did acknowledge that he received the proposal sent by Senaka Weeraratna in May 1997 when he was interviewed by sports journalist Mr. Saadi Thawfeek, published in the Sunday “Nation” newspaper of 22nd June 2008. Mr. Dharmadasa in that interview confirmed that he knowing the importance of the concept had instructed Board of Cricket CEO Mr. Tryphon Mirando to study the proposal and submit a report to the Board. However, Mr. Dharmadasa’s term ended in 1998 and with that Senaka Weeraratna’s proposal on player referral went into oblivion. Following the controversy surrounding the Sri Lanka – England one day encounter played in Adelaide, in February 1999 where Muttiah Muralitharan was continuously no balled by Umpire Ross Emerson, the “Weekend Australian” published a letter to the Editor from Senaka Weeraratna again titled “A Spectators Appeal: Reform Cricket Umpiring”. Thereafter an unabridged version of this article was published in the Northern Territory News, Darwin (1 March 1999), Sri Lanka ‘Daily News’ (02 March 1999), Sri Lanka ‘Sunday Island’ (March 14, 1999), and Sri Lanka ‘Sunday Island’ (18 March 2003). The ‘Time’ Magazine (7 June 1999) published a letter to the Editor from Senaka Weeraratna on the serious failure of the Cricket Adjudication process to use the very same new technology that vividly shows on Television through video replay the errors of the on field umpire’s decision, to correct it. The ICC ran a trial of the player referral system during the Test match series between Sri Lanka and India in 2008 but did not take any effort to identify the true author of the player referral mechanism, despite key officials of Sri Lanka Cricket personally handing over to Mr. David Richardson, then General Manager of ICC (who was on a visit to Sri Lanka in August 2008) a folder full of publications of the writings of Senaka Weeraratna on the subject of player referral. Mr. David Richardson also failed to keep an appointment that he had agreed to give Mr. Weeraratna in August 2008 at the instance of Sri Lanka Cricket officials. Mr. David Richardson, now the ICC’s Chief Executive, attempts to claim that the UDRS was borrowed from tennis. However it cannot be accepted since the use of video replay device in tennis was first used in 2006 using Hawkeye technology. Moreover adjudication in tennis is solely confined to line calls. However, Senaka Weeraratna’s articles on the player referral mechanism has been published in local and international reputed newspapers, journals and sports magazines including “The International Cricketer” since 1997. That the proposal sent in May 1997 by Senaka Weeraratna to the Board of Cricket Control of Sri Lanka has to be in their files with possibly a comment by the then President Mr. Upali Dharmadasa suffices for the present authorities to take out the file and officially acknowledge that such a concept in the form of a proposal was sent to the Board a decade before ICC ran the trials of the system put in writing by Senaka Weeraratna. The very fact that Mr. Upali Dharmadasa has corroborated the receipt of this proposal from Mr. Weeraratna in May 1997 in his interview with journalist Mr. Saadi Thawfeek in 2008 is sufficient to trigger this process. In the alternative Mr. Upali Dharmadasa must do his part for Sri Lanka by giving an affidavit to that effect to the ICC. It will change the complexion of this whole controversy. The ICC cannot use UDRS without acknowledging who the author is – that would be tantamount to intellectual dishonesty, violation of copyright and fraud given that it has not made any attempt to officially search for the innovator of the idea it is now using in ICC administered Cricket matches. The ICC does not have anyone within the ranks of the ICC Cricket Committee of 2006 whom it can pin point with any degree of acceptance as the author of the concept with a track record of publications. So the obvious and logical conclusion is that ICC has borrowed this idea. From whom is the Million dollar question? Ideas do not fall from heaven for ICC to pick at will. Ideas originate in the minds of human beings. If ICC cannot name an author of player – referral within or outside its ranks, then it must give serious consideration to the claims of the only claimant in the world for authorship of player referral i.e. Senaka Weeraratna. An interview acknowledgement on the part of Mr. Upali Dharmadasa of receipt of Senaka Weeraratna’s proposal on Player Referral in May 1997 is insufficient to stake his claim to the authorship of the UDRS and to press the ICC to christen the system now being used as the “Weeraratna Rule”, therefore on Sri Lanka’s part we need to rise to the occasion not to deny a son of Sri Lanka the credit that he rightly deserves. In taking up this challenge as a first it would be ethically and morally correct for Mr. Upali Dharmadasa to officially write to the ICC in the capacity of a former Board of Cricket President and confirm that Senaka Weeraratna did send a proposal on Player Referral in May 1997 and had requested the Board to table his proposal at the next ICC meeting and lapses on the part of his officials had resulted in the present stalemate. This needs to be followed up with the present Sri Lanka Cricket Board taking up the challenge themselves to forward all past correspondence and writings which Senaka Weeraratna can provide to establish his case for authorship and for the ICC in turn to officially hold an impartial inquiry with independent international observers to evaluate Senaka Weeraratna’s claim to authorship of player referral. If credit for authorship of player referral being the lynch pin of UDRS is to be eventually Senaka Weeraratna’s and by virtue of its pride being shared by all Sri Lankans necessitates the Government of Sri Lanka to be more than a silent spectator with the Sports Ministry and the Sports Minister taking up this cause as a national issue given that all other Governments in the rest of the world would lobby and do their utmost to ensure any glory due to the country would be given fullest State support. Therefore, given that the UDRS did not drop from the sky independent of a human hand in its creation, and since Senaka Weeraratna has been making a claim for authorship for over 16 years the GOSL should now take the onus unhesitatingly to give him the Government’s fullest backing. The fact is that the singer cannot sing the song without acknowledging the composer and therefore cricket being a gentleman’s game it is only fair that if the ICC is not willing to accept Upali Dharmadasa’s acknowledgement or the present Board’s submission for Weeraratna’s claim of authorship an impartial inquiry should be held to ascertain who the composer of the UDRS system is. When the authors of Duckworth-Lewis system celebrated a decade of their system now being used and when the UDRS composer is carrying out a lone battle to stake his authorship and ownership it would only be fair that Cricket’s Governing Body and Sri Lanka Cricket Board in particular should now take up the cause to ensure a son of Sri Lanka is not denied the credit and honour that he and this country richly deserves. If ICC says they borrowed “Weeraratne rule” from Tennis in 2008, and if Tennis was using Weeraratne rule only since 2006, and if Mr. Senaka Weeraratne invented this system in 1997, then ICC do not need even a brain to understand that Mr. Senaka Weeraratne was the true author of this “Weeraratne Rule” or “Weeraratne Appeal System”. All what ICC needs is to drop their mental weakness of the inability to acknowledge a non-white person’s achievement and to come out and show that they are in fact morally strong, or at least to “pretend” that they are morally strong. Brilliant expose’ by Shenali of the shenanigans of the ICC in not giving due credit to Senaka Weeraratna, for his original suggestion of appealing to a ‘third umpire’ using video evidence for a review of the on-the-ground umpire’s decision. Statisticians Duckworth and Lewis were honoured for their idea by calling it ‘Duckworth-Lewis system’, to find a winner when a game is curtailed by rain. Likewise, Senaka should be honoured for his original idea by calling it “Weeraratna Appeal System” as Manjula suggested. ICC, in order not to give credit where credit is due, called Senaka Weeraratna’s idea “Umpire Decision Review System”. Quite a mouthful! Is this because Mr Weeraratna is not a Caucasian white but an Asian brown? It smacks of racism. ‘We white men are superior to you Sri Lankans’. I hope the media in the cricketing world, the SL Sports Ministry and the Cricket Board of Control in SL will pursue this matter relentlessly till Mr Weeraratna is given his due credit by naming the appeal system after him. Thank you Shenali for exposing this injustice by ICC and by ‘batting’ for Senaka Weeraratna and for SL.